A romantic getaway, a vacation with close friends or a retreat with your colleagues to energize and refocus, there are many reasons to seek out beautiful places. 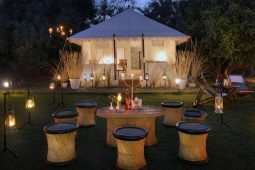 Find relaxation and beauty at The Abrar Palace & Jungle Camp –Camp, Trek and Rejuvenate, at Ranthambore. 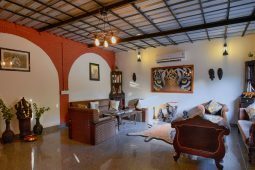 Stroll into our 20 acre forest glory, dine at our restaurant or by the pool side overlooking the mountains, go for a cycling trek in the pure jungle air or just relax on the decks outside the Jungle Camps. Time slows down to almost nothing in our forest haven. 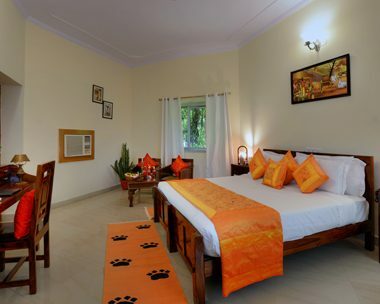 With the distinct class and charm, the Ranthambore National Park holds the significant status in the tourism sector of India. 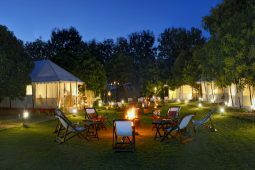 However, Ranthambore National Park is not one of the biggest National parks of India, but surely it is the most famous one. 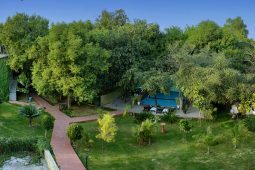 Situated in the vicinity of the Aravali hills and Vindhya plateau, the Ranthambore forest spreads over an area of 1334 sq km with having the 392 sq km of the area as the national park. 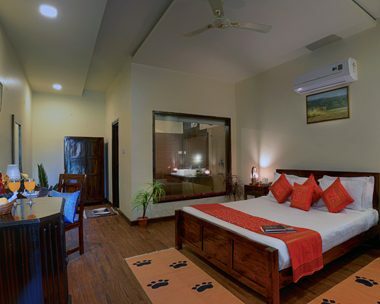 Highly revered for the natural habitat to the significant number of Royal Bengal tigers, the Ranthambore tiger reserve is very popular among the wildlife lovers for its diurnal tigers, which means tourist can easily spot a tiger during their day safari visit. The management and staff at The Abrar Palace –Camp, Trek, Rejuvenate – welcomes you to an exciting & personalized dining experience. Savor the culinary excellence, exotic mouth-watering dishes in a pleasant and chic environment. Ranthambore National Park is one of the most popular national parks in India and is world famous as one of the best places in the world to see a tiger in the wild. The verdant landscape and tropical forests, rugged hills and these beauteous environs serves as the perfect option for weddings in exotic locales. Let the colorful flowers, luxuriant foliage and twittering birds, all witness the picturesque settings for your wedding in India. 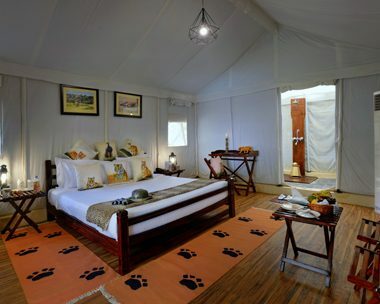 Let your senses awaken to the chants of the wild, roar of tigers and the busy chatter of exotic birds! 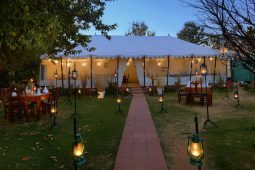 The Abrar Palace – Camp, Trek, Rejuvenate welcomes you to the rugged, deciduous forests of Ranthambore, tucked right in the lap of nature. We had a group booking, more or less, we occupied all the tents on offer. We had a great time. The food and the ambiance complemented well. Mr Nitesh (Front Office Manager) and his team were more than supportive to fulfill on our demands. Mr Nitesh also helped us arrange an early morning safari. Many thank to him and also to Abrar Palace for making our stay a memorable one. My parents visited Abrar Palace for a short holiday and they were taken very good care of, from food to other arrangements. The staff is told to be very warm and courteous, special thanks to Nitesh who was not only looking after them personally, but he kept me updated incase I don't find them within telephone network. Thankyou Abrar Palace management and Nitesh for being a wonderful host. I would highly recommend a stay with them. Explore Wildlife & Nature. Stay with us.